Whilst we are not actively recruiting at the moment, we are always seeking expressions of interest from people who have a varied customer service background and have an interest in working in this industry. Below are two examples of jobs that we do advertise when required. Seasons is a long established family owned and operated Funeral Home with an extremely high level of professional care provided to their families. We are currently seeking casual Funeral Director Assistants to join the Seasons professional team. The position is varied and can encompass a number of duties including assisting Funeral Directors in collecting families, driving the hearse, liaising with families, supporting at services. Standard office hours apply Monday to Friday however due to the nature of the role, flexibility is also required to be able to provide a premium service to our families. There is also the opportunity of afterhours and weekend work which attracts an additional allowance. No prior experience is required with ongoing training and development provided. If you want to join a growing business with an excellent work ethos and culture, then we would like to hear from you! Please apply now in writing to our HR Manager with your resume and covering letter to Caroline Robertson. Diverse, rewarding, challenging, intense, satisfying, flexible, varied, making a difference! Who would have thought a career as a Funeral Events Coordinator with Seasons Funeral Homes could be so exciting! If you would like to take a whole new direction in your career path, and feel challenged by the above descriptions, why not apply for this very rewarding leadership role and find out what you are capable of. You will be part of a proud innovative team dedicated to making a difference in the funeral profession. 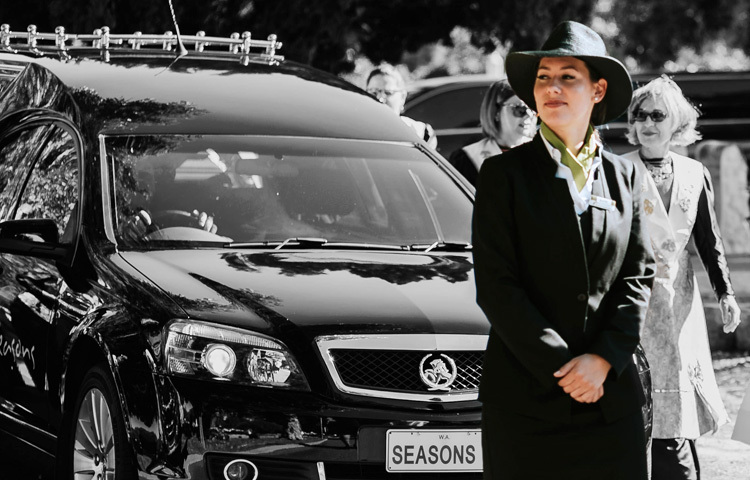 Seasons Funeral Homes are a recognised industry leader who like to bring in fresh new ideas and challenge the status of the traditional funeral. Your role will be to work with our client families to understand their needs, develop solutions that meet their requirements and provide a service that exceeds expectations. To qualify for the role you will need to be able to communicate effectively, be a team player with a diligent work attitude, competent computer skills with a willingness to learn new systems, good time management skills and immaculate presentation. We will teach you the rest . Whilst mostly standard office hours apply, flexibility is required to meet the operational needs of the business, including availability to work weekends on a rotational roster. The position is casual to start with, but a full time professional career awaits the right person. A career in the funeral industry is not necessarily an obvious choice. But we think that working to give families the best possible opportunity to tell their loved ones’ story and celebrate their life is an incredibly rewarding career. From funeral directors to branch clerks to embalmers, the funeral industry provides a wide variety of roles. We look for people who can represent our values of Storytelling, Innovation, Familyness and Over-service.